Taking a Disney Cruise can be a wonderful way to make memories with your kids as it is one thing they are sure to never forget. As with most travel destinations and trips, there are some things to keep in mind and if you are looking to not miss out on as much fun as possible and avoid snags in your trip with over-excited kids, here are some tips for taking a Disney Cruise that are sure to help you enjoy your time aboard. Timing is everything with boarding. If your boat is scheduled to leave at a certain time, you will want to be there much earlier. Plan to show up at least 4 hours early so that you can get aboard and secure well before it leaves the dock. Boarding early means you can enjoy a full day at the port – first have lunch and then get acquainted with the ship! Bring a watch. Many people do not wear watches these days, but you will want to wear a watch because unless you want to pay the high price of cell phone service on board, you will need to keep track of time somehow. Eat the latest dinner. If you are hoping to have a less crowded dinner experience, make sure to agree to the late dinner times. These ones are usually the best and there will be less young children at them. My daughter had no trouble enjoying the later dinner and she was three the first year and four the following. It made our day so much relaxed. She was able to take a nap after a day of fun and I also got to unwind and relax in the room during this time. Bring something for signatures. If you bring a notebook, pillowcase or something that your child wants to be signed by all the Disney characters on board to the guest service desk the very first night you are there, they will get it signed and get it back to you before you leave for free. This makes a great keepsake and souvenir of the cruise. Research the entertainment options before you go. There is so much going on aboard a Disney Cruise, you want to make a game plan in order to not miss out on the fun stuff each day. There are nightly shows for both kids and adults and special once per cruise entertainment offerings such as the Character Dance. Get up early at least once on your cruise. Since everyone is on vacation on a cruise, that means the ship is usually pretty uncrowded in the morning due to everyone sleeping in. It is nice to get up at least one time and watch the sunrise as well as wander around the ship without loads of people. Also, make sure to take advantage of adults-only offerings as they are a great way to relax kid-free. Bring a bit of loose cash. While pretty much everything is charged to you or included in the price on a Disney Cruise, things like room service tips and extra tips you may want to give your staff are not. Keep some bills handy for these things as well as for when you dock and head to shore for excursions. Bring some extras that you might need. Bringing things aboard that you might need will help keep the cost down so you don’t have to buy them on board. These include sunscreen, chapstick, water bottles for each family member, laundry detergent, over the counter pain relievers and anti-nausea medications, candy and snacks. Download the Disney Navigator App before you go. It helps you stay up to the minute on events, entertainment, and offerings on board the ship and works even if you don’t pay for the extra cell phone/wifi service. Lastly, the best tip of all – have fun! 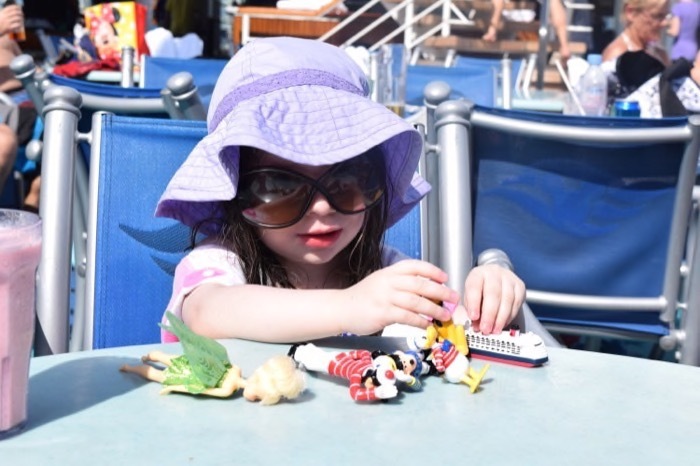 Your Disney cruise can truly be the best family vacation you have ever taken. My daughter asks weekly if we’re going back to the Mickey ship. It’s truly a magical experience for all the family.